5. Kinmel Hall, Abergele, UK. 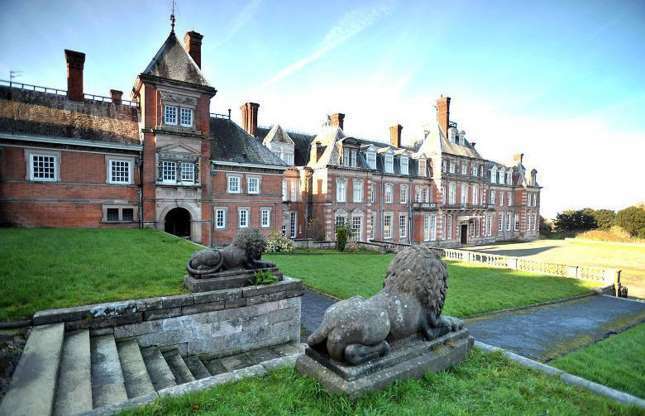 Like Africa’s Versailles in the Jungle, Kinmel Hall, which is nicknamed the ‘Welsh Versailles’, has been left to decay, though it isn’t in quite as bad shape as Mobutu’s former palace. The splendid chateau-style mansion dates from the 1870s. A ‘calendar house’, it had 365 rooms at its height, one for every day of the year. A room was even dedicated to ironing newspapers at one time.